CHAUVET DJ has advanced wireless lighting control to a new level by introducing the FlareCON Air hardware interface. This revolutionary palm-sized device gives DJs an unprecedented level of freedom and mobility by making it easy for them to control any of the company’s battery-operated Freedom series fixtures directly from their smartphone or tablet. 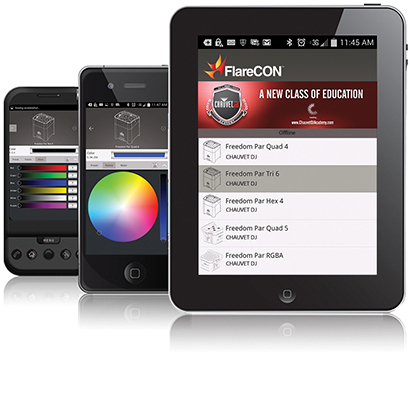 Affordable and easy to use, the FlareCON Air is compatible with both iOS® and Android™ operating systems. End-users simply have to download the FlareCON Air app to their phone or tablet. Then when they give a command on the mobile device, FlareCON Air will send the signal wirelessly to the fixtures – turning phones or tablets into wireless DMX lighting controllers! Working reliably over unobstructed distances up to 600 feet (183 m), the FlareCON Air brings new meaning to the Freedom series fixtures’ name. Without having to worry about the constraints of DMX cables or the proximity of a controller, DJs and entertainers will have the ultimate freedom and mobility to set up and operate their lightshows however and wherever they choose. In conjunction with the FlareCON Air launch, CHAUVET DJ is introducing three new Freedom series LED fixtures, which are smaller and more lightweight than their predecessors: Freedom Par Tri-6, Freedom Par Quad-4, and Freedom Par Hex-4. However, Reiss points out that the FlareCON Air not only works with these new models, but also with the original fixtures in the series, enabling all Freedom products to be controlled with smartphones and tablets. In addition to the Freedom series, the FlareCON Air will work with all D-Fi™-ready lighting fixtures from CHAUVET DJ. 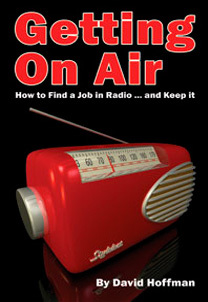 The FlareCON Air unit itself consists of a Wi-Fi receiver and a wireless D-Fi transmitter in one compact box. It can wirelessly synchronize an unlimited number of D-Fi ready fixtures and receivers simultaneously. Equipped with 3-pin XLR connectors, the FlareCON Air’s output can also be used with wired DMX fixtures. Operating on a 2.4GHz frequency, the FlareCON Air offers extremely reliable performance, even in banquet halls, concert venues and other environments with a large amount of wireless traffic. Users can manually select from 16 different operating channels, or they can utilize an Auto selection mode, which will search through all the channels to find the one currently least in use. “When you use the Auto mode, your communications are automatically directed to the channel with the least amount of interference, which assures that your wireless signal will be strong and reliable,” said Reiss. As mobile itself as the control capabilities it provides, the FlareCON Air is extremely compact and lightweight, measuring just 142 x 91 x 46 mm and weighing 0.6 kg. The unit offers flexible mounting options, including a built-in hook and loop fastener strap, keyhole mounting apertures, and M10 and M12 threaded holes for direct mounting to truss.